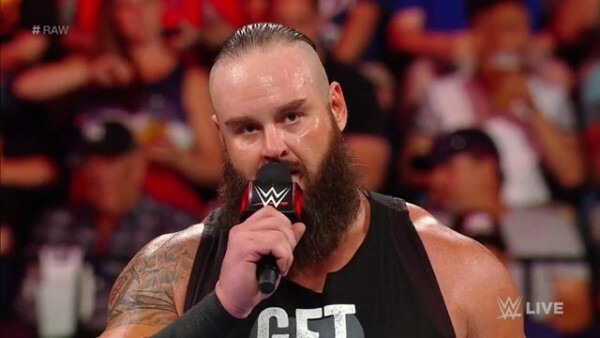 – Speaking to WrestlingNews.co, WWE Superstar Braun Strowman offered an update for former Universal champion Roman Reigns. Reigns is currently off TV to receive treatment for leukemia. Strowman was recently in New York City to get his injured elbow fixed up. Regarding his pending return to the ring, he stated, Youll see me when you see me. He stated that he was excited on the Royal Rumble, Im just trying to figure out whats going on. When asked about the condition of Roman Reigns, Strowman stated, Thats one of my things that I enjoy working. Hes one of the guys that will go in there and push me. He added, Its just a day by day thing. I know hes doing his treatments and stuff at home. When I speak to him, he sounds well and says he feels well. I trust him with everything hes ever told me. You can check out a video of the chat below.